TrackRunner Mini is a new, miniaturized, low profile tracking system for the Broadcast and Film industries that features a unique built in cable management system. 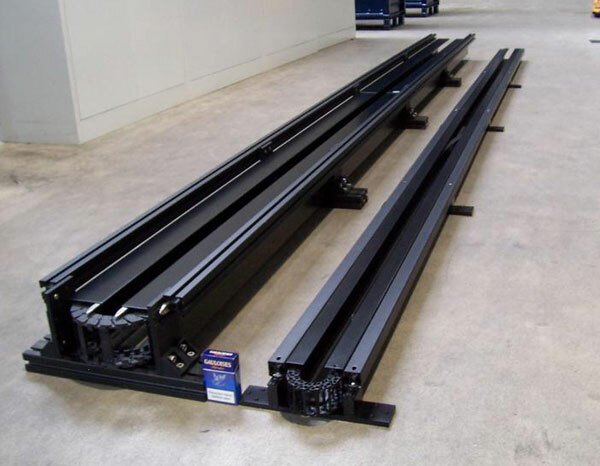 With a track height of only 3 1/4 inches and a track width of just 6 3/8 inches, this tracking system has a footprint of less than 10 1/4 inches and is the smallest tracking system available anywhere with a built in cable management system. Designed to accommodate our MicroPlus head and Panasonic 1500-2/3 inch chip HD camera, this system has a speed range of from less than 1 foot/sec to a top speed of 18 feet/sec. Placed at the performance level along the floor, or suspended above the action, TrackRunner Mini�s small footprint, unique cable management and extremely quiet operation, provide the Director with the ultimate flexibility in tracking shots. 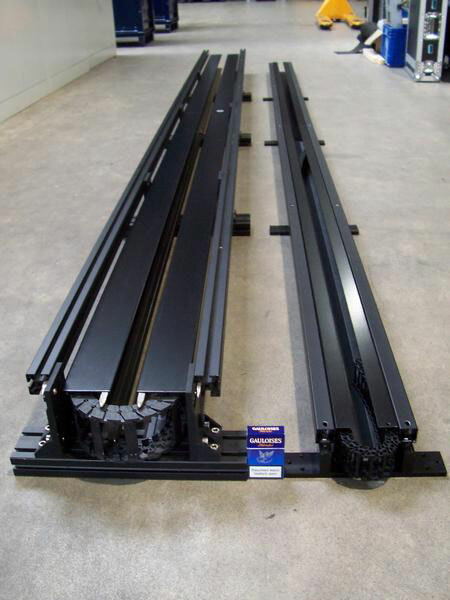 The dolly is �captured� on the track and a clever �energy chain� cable management system, contained within the track section. 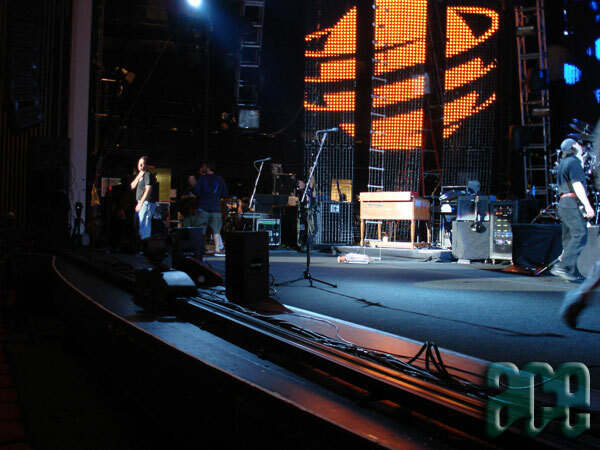 The energy chain rides on special surface that keeps the noise generated by the system to an acceptable level making it ideal for entertainment venues. 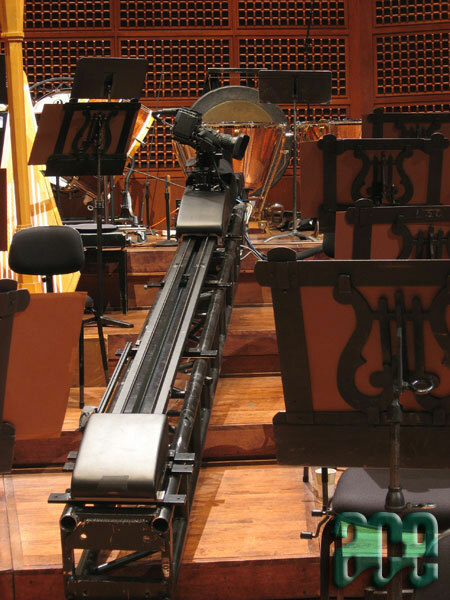 The Sled (dolly) is controlled remotely by a computerized joystick or foot pedals that can be operated at a distance of 3000� from the track set-up. The computerized handset can be programmed by the Technician to store start and end marks as well as ramps and speed gates.